Enterprises today continue to invest in business intelligence (BI) initiatives with the hope of providing a strategic advantage to their organizations. Many of these initiatives are supporting the tactical goals of individual business units and not the strategic goals of the enterprise. Although this decentralized approach provides short term gains, it creates an environment where information silos develop and the enterprise as a whole struggles to develop a single version of the truth when it comes to providing strategic information. Enterprises are turning toward a centralized approach to BI which aligns with their overall strategic goals. At the core of the centralized approach is the business intelligence competency center (BICC). This paper details why the centralized BICC approach should be considered an essential component of all enterprise BI initiatives. Examining case studies of BICC implementations details the benefits realized by real world companies who have taken this approach. It is also important to provide analysis of the two BI approaches in the areas of BI process and BI technology/data and people relations. The findings indicate the benefits of the centralized BICC outweigh the deficiencies of the decentralized approach. According to Gartner’s latest CIO survey, Business Intelligence (BI) remains one of the top 5 CIO priorities in 2010 (Gartner, 2010). Enterprises today are looking to gain a competitive advantage by investing in BI initiatives. Many of these initiatives are developed to support the goals of individual business units or departments and eventually provide a short term return on their investments. As these BI silos begin to develop within the enterprise, the long term value of the BI investments begin to decrease due to issues such as data quality, data availability and application redundancy. To avoid some of these pitfalls and to begin to align BI investments with the overarching corporate strategy, enterprises are turning toward an approach of implementing a centralized business intelligence competency center (BICC). 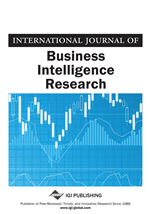 “The BICC is designed for organizations that consider business intelligence to be a priority, but are struggling due to its uneven adoption across the organization, misunderstood uses or underutilization of business intelligence tools, or increasing numbers of “spreadmarts” or spreadsheets built on disparate data silos” (Teradata, 2010). These issues are the reason the transformation of the BI strategy needs to reach across the enterprise and the underlying business units who see value in leveraging BI but have issues using information efficiently. The BICC centralizes the people, systems, and standard processes needed to support a single enterprise BI strategy. This paper will provide definitive evidence that the BICC should be an essential part of an enterprise BI strategy because it has proven to maximize an enterprise’s BI investment. It is important to define the BICC to be able to understand the value it provides to an enterprise BI strategy and to understand the weight of executive sponsorship as the foundation of the BICC. Also at the core of the BICC are the people from within the enterprise who possess the skills related to technology, business as well as analytics. This paper will then examine the unique blend of skills and people which make-up the BICC. The majority of the research section will define the importance of the BICC’s scope. The scope of the BICC reaches across IT and other areas of the enterprise. The BICC assumes a number of different areas of responsibility that can be considered as necessities of most BI initiatives. Integrating these areas into the BICC is what makes the centralized BI approach so beneficial to the enterprise BI strategy. The scope of the BICC can be generalized in the following items. It is from the BICC scope (Table 1) that individual roles are defined within the BICC. The roles performed by the BICC and its members will be discussed.